WAYNE is the near improbable true story of the ‘larrikin kid’ from Wollongong, Wayne Gardner. With girlfriend Donna Forbes never far from his side, Wayne’s remarkable journey takes him from a 5-dollar dirt bike to the pinnacle of his sport. In 1987 Wayne becomes the first Australian to win the World Motorcycle Grand Prix, and with it, the hearts of all Australians. This thrilling documentary has been directed by Jeremy Sims and was inspired by Nick Hartgerink’s biography, The Wayne Gardner Story. Featuring interviews with legends from the sport’s ‘golden age’ including Eddie Lawson, Wayne Rainey, Mick Doohan and Kevin Schwantz, WAYNE is an amusing, inspiring and, at times, wild cinematic ride through the life of a true Aussie legend. WAYNE will release in cinemas nationally on 6th September 2018. 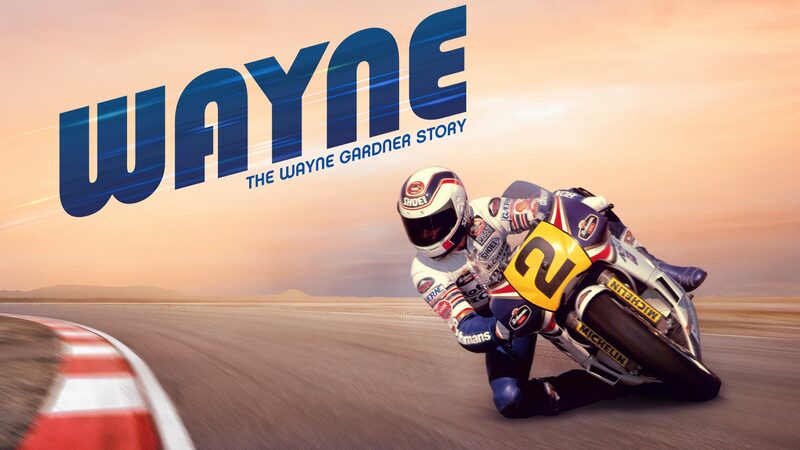 See #WayneFilm early at our Wollongong Q&A special event screening with the legend himself, Wayne Gardner in attendance. Book your tickets now!